Get your kitchen gleaming, get the professionals in! Essex’s leading oven cleaning specialists banish the smell of built up grease and burnt-on food – fast! 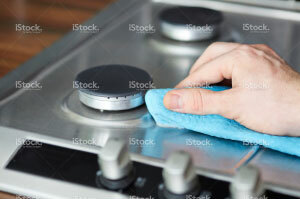 Using biodegradable, non-caustic, odour-free cleaning products we can get your hob and extractor hood looking as good as new and ready to use again in under two hours. We aim for 100% customer satisfaction, so we always get you to inspect the clean once we are done! All cleaning work is guaranteed, insured and Trading Standards approved, and each member of the Essex Ovencleaners team is DBS checked. Join us on Facebook or give us a call to find out more about how we keep hobs and extractors throughout Essex, Suffolk and Hertfordshire looking as good as new! Does your extractor need to sparkle again?